Today I am telling you how to get more visitors on your website or blog. And you know about which trick and tips are helpful to generate blog visitors. You will need to work hard to achieve your goal. First of all you focus your SEO because if you need real and more visitors from search engines. So you must create your blog, website Good SEO. 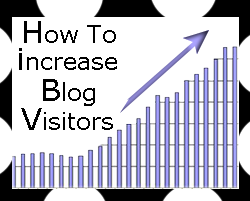 To get the sources of increase blog visitors. Backlinks are good role to get more visitors in your blog. If your Backlinks are many of other sites, then you get much traffic. Quality Backlinks affect is very good for bloggers. How To Make Money Online ...:::: Earn Methods ::::... The biggest source of getting more traffic for your website, blog is (Alexa Widgets). Because Alexa saves your all record of impressions, and visitor in your blog. And these things are helping you to how to get Alexa ranking, and get more visitors. Use social media website, Facebook, Twitter, Google Plus, are big first three sources to generate traffic for your blog. You must be a regular update your post on these social media sites. If you are updating your profiles, and pages on social media regularly, then you must get a good result to get high traffic in your blog. Because every person use social media these days. And this is a golden chance you get free and handsome traffic. Make sure your blog and posts are show in search engines. And also promote your blog URL to your friends, and people who enter your blog content. Submit your blog links to everywhere, and marketing your blog online. Hi. well post. This contain very effective tips for blogger to improve the search results. On site development of website is also one of the most important factor to increase the search visibility. Thank you for sharing this effective tips. I like this blog.I have got some important suggestions from it.I am happy to see this post.